TINKER’S SEA coming this summer! We are thrilled to announce the upcoming release of Tinker’s Sea, the highly-anticipated sequel to Stephen B. Pearl’s Tinker’s Plague! Ebooks are already available for preorder! Visit the ebook purchase pages on Amazon and Smashwords and be one of the first people to own this exciting post-apocalyptic seafaring story. Tinker’s Sea will be released during The Pirate Festival, happening July 30-August 1 at Marden Park in Guelph, Ontario. 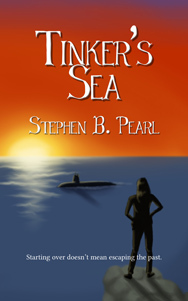 Milton, ON – Science fiction and fantasy publisher Brain Lag is proud to announce the July 30, 2016 release of TINKER’S SEA, sequel to the post-apocalyptic scifi novel TINKER’S PLAGUE by Stephen B. Pearl. In a world ravaged by the exhaustion of fossil fuels, small societies in southern Ontario re-introduce modern technology, powered by sustainable energy, into lands without electricity. While fulfilling her Coast Guard service obligation, aquatic tinker Tabby Drivensky saves a boy who turns out to have information vital to stopping a pirate who has been plaguing the Great Lakes for years in an ancient, nuclear-powered submarine. Stephen B. Pearl, a southern Ontario native, has written nine novels that run the gamut of speculative fiction from historical fantasy to military science fiction to paranormal romance. With a strong focus on the way advanced technology or classical mysticism affects the worlds he writes, Pearl brings the science into science fiction and the real world into fantasy. In TINKER’S SEA, environmental and nuclear technology, medical procedure, seafaring, and politics form a backdrop to a story of how terrors from the past can continue to haunt the present, even after societal collapse. The book follows up TINKER’S PLAGUE, also published by Brain Lag in spring 2016, which readers have hailed for its realistic predictions of environmental changes, clashing ideologies, and both the advancement and devolution of technology in a world without oil. TINKER’S SEA will be released during The Pirate Festival (www.thepiratefestival.com), taking place July 30-August 1 at Marden Park, 7368 Wellington Road 30, Guelph, Ontario. The book will then be available for purchase by the general public in paperback (MSRP $16.99 CAD) everywhere. Ebooks (MSRP $2.99 CAD) are now available for preorder and can be purchased from Amazon (https://amzn.com/B01F6FARNS) and Smashwords (https://www.smashwords.com/books/view/634390). Thanks to all the generous people who contributed to our Indiegogo campaign, we reached and surpassed our fundraising goal. We are going to make the best trailer for Enduring Chaos that we possibly can and have already made some great progress on it. We will be at the Pirate Festival this Saturday through Monday in Milton, Ontario. Look for Brain Lag in the Local Authors vendors booth. Author Catherine Fitzsimmons will also be giving readings each day of the festival from 2:30-3:00 p.m. On Monday, along with a new advance reading from Enduring Chaos, we will also be giving an exclusive first look at the cover art for her next book. Come out and take a look and listen at this sneak preview of her upcoming title. We hope to see you there. 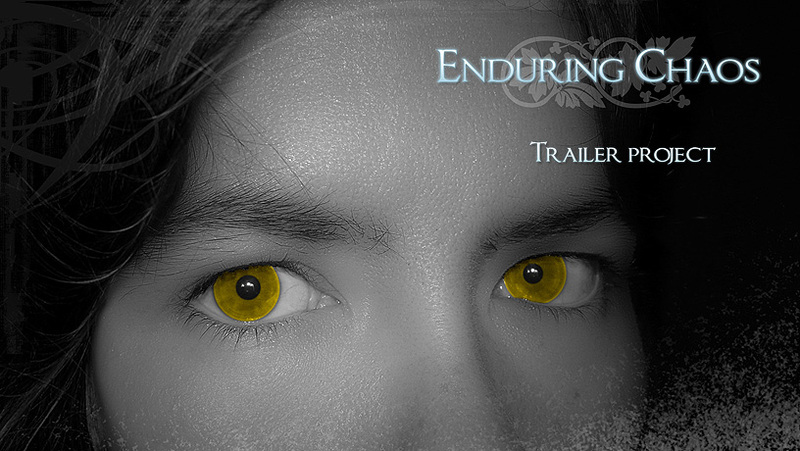 Author Catherine Fitzsimmons’s third book Enduring Chaos, the first in an epic fantasy trilogy, is coming this fall. To promote its release, Brain Lag is producing a live action trailer for the book. But we need your help. Please visit the Indiegogo crowdsourcing campaign to help us raise funds for location expenses, equipment, and transportation for our talented crew. Any amount you can contribute to help bring this project to life will help, and pre-release ebooks and paperbacks are available for contributions over certain amounts. Visit the campaign page for more information and please help us make this dream a reality!